If we want to increase the production of scientists and engineers at Florida’s universities, we will need new instructional facilities. 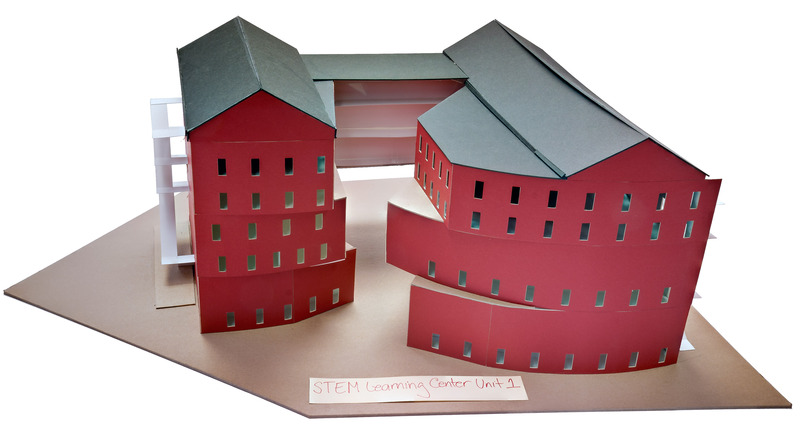 What you see above is one artist’s conception of a STEM classroom building at FSU. It is 90,000 square feet and would cost $35 million to build. Last I heard, it was second on the university’s priority list for PECO funding. The university master plan places it in the parking lot east of the Oceanography/Statistics Building. The building would house classrooms for chemistry, computer science, Earth sciences, mathematics and physics – including several science studio rooms for housing inquiry-driven instruction. It is the first of three buildings contemplated by a group of professors from these departments (plus Biology), and this building, Unit 1, is designed to meet the instructional needs we had last year: that’s right, not in the future, but last year. Building for the future is included in Units 2 and 3. But with the flow of PECO revenue slowed to a trickle, there are no funds available for the construction of academic facilities. If we are serious about educating more and better scientists and engineers, we’ll need new facilities. We must start thinking about how we are going to do this.